The Why: Smothered. It’s almost a dirty word. It’s reminiscent of a time in our lives when we used to be able to chow down on anything whether it was smothered in butter, syrup, gravy or fudge. So it’s not every day that we “healthy eaters” get to bite into something “smothered” — but today is our lucky day. 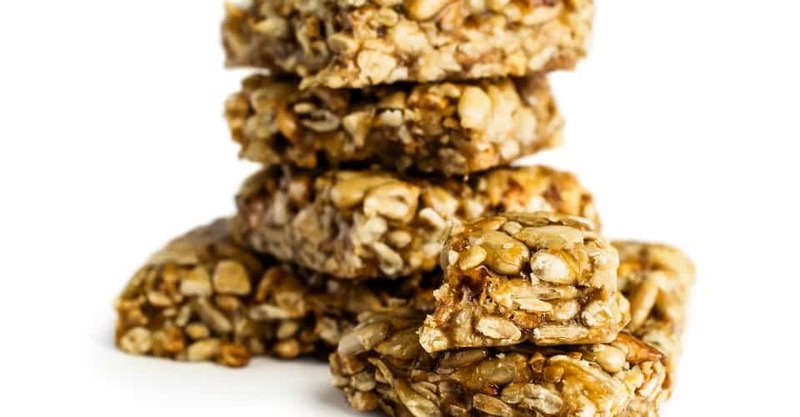 They are sort of like an all-natural PowerBar: soft, chewy and full of lots of fresh nut-crunch and flavor. Not only that, but every ingredient on the label is readable, even without a Ph.D. in chemistry. It figures something so perfect would come from a company called Golden Temple of Oregon, founded by a “Yogi,” no less. The #Health Bonus: Wha Guru Chews are all-natural, handmade, vegan — and portable. What We Liked Best: The taste is off the charts, and they are only 160–190 #calories: a great value. What We Liked Least: They make your fingers a little sticky, so don’t forget the Wet Ones. The Price: About $1 each. Where to Buy: www.amazon.com, www.tealand.com. Ingredients: The Cashew Almond flavor contains: Barley malt syrup, cashews, sunflower seeds, brown rice syrup, almonds, maple syrup, high oleic safflower oil, wheat germ, cashew butter, almond butter, natural maple flavor, sea salt, soy lecithin. Offerings: They are available in five flavors: Sesame Almond, Almond Ginger, Cashew Almond, Peanut Cashew and Cashew Vanilla — all nice and smothered in a special caramel to hold them together.